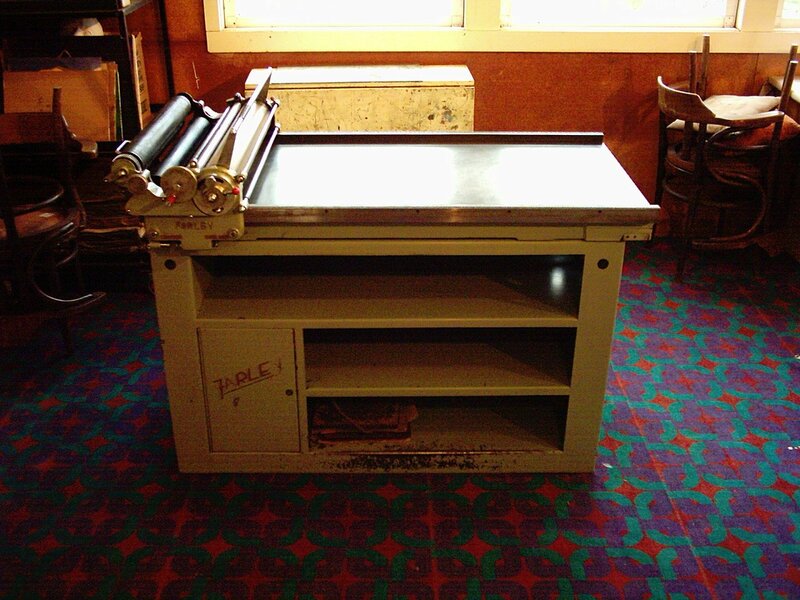 Hello, We are artists in New Zealand, just starting out with our Farley Letterpress 25 (Deck 24 and a half inches wide x 42 and a half inches long), and are looking for any information, either on our press or about Farley in Croydon, England. Also any information on operational requirements and equipment we will need to acquire to run this press, we are mature novices and eager to learn. Thankyou. 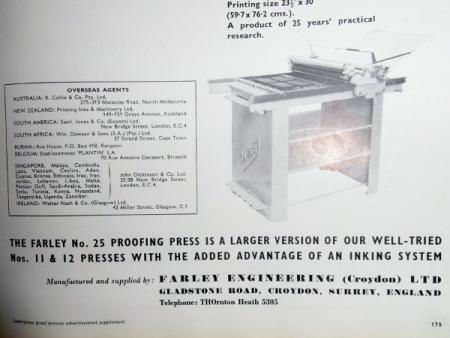 That is a nice little proofing press. You may want to try posting on the Vanderblog which covers discussions of all proof presses, not just Vandercooks. Thankyou for your comments and help. Appreciated. Xavier, New Zealand. Hey Xavier, did you ever find any further information on your Farley? On a similar mission! Having had a few minutes playing with one of these i can add it is a nice bit of kit ,not particularly strong but a good machine to print with if used as it should be ,with respect . The quick lift calibrated lever for the cylinder height makes it quick and relatively simple for proofing all the random blocks you may have ,. 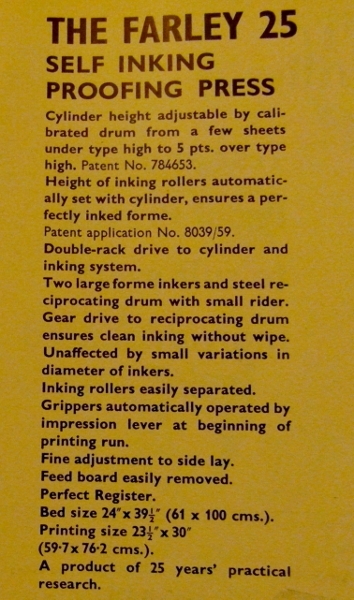 just got these out of a specification manual, if you google the patents they should give you more information about farley, if the pictures turn out too small i will try to put bigger one on but it would not upload original size.